HDFC Securities is a full-service stockbroker with a banking background. It provides various services such as customer support, offline branches, research and recommendations etc. 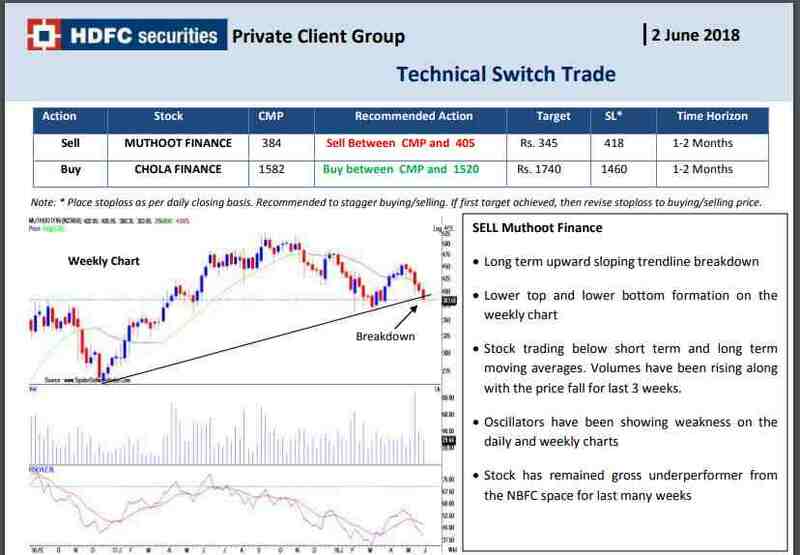 Beginner level investors and traders looking for initial handholding look forward to HDFC securities research in case they choose to open an account with the broker. 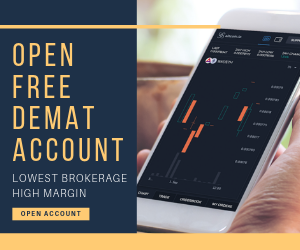 The broker has an in-house research team that provides reports and recommendations across financial segments including Equity, Derivatives, Currency and Mutual Funds apart from specific reporting on certain occasions (Budget, IPO etc). These research reports and quick calls can be accessed through the HDFC Securities’ website, SMS, Email, Trading platforms etc. There is a unique channel this bank-based stockbroker has opened up to users which is chat-bot (virtual assistant) based. For quick communication, you put in your requirements and the chat-bot will assist you in providing the specific tip or research you are looking for. As per our basic test, the chat-bot does a reasonable job and can certainly assist you in getting the kind of report you may be looking forward to. Apart from that, the broker has opened up normal chatting facility as well. Speed is one of the most crucial aspects of tips and research. HDFC Securities seems to understand this particular detail. There is no set frequency for these kinds of reports, but generally, the HDFC Securities Research team publishes one of such reports on a monthly basis. The Investment Ideas reports detail out aspects such as Investment rationale, risks and concerns associated along with statements such as balance sheet, P&L Statement, cash-flow statement etc. These reports are published at a specific stock level that is chosen post analysis by the research team of the broker. For traders looking to benefit from short to medium term market investments, Pick of the week is, supposedly, a weekly report. However, the broker seems to be quite irregular on its publishing with last publish happening in January 2018. For traders in general, ‘Trading Ideas’ reports work as its name suggests. 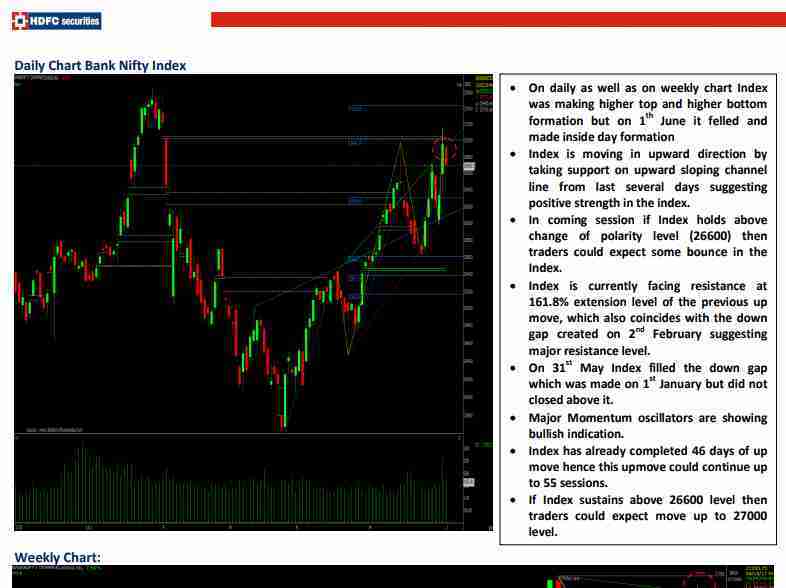 The broker publishes 10-12 trading ideas every week with few days bringing in 2-3 such reports. These reports are set-up by the technical research team of the stockbroker. 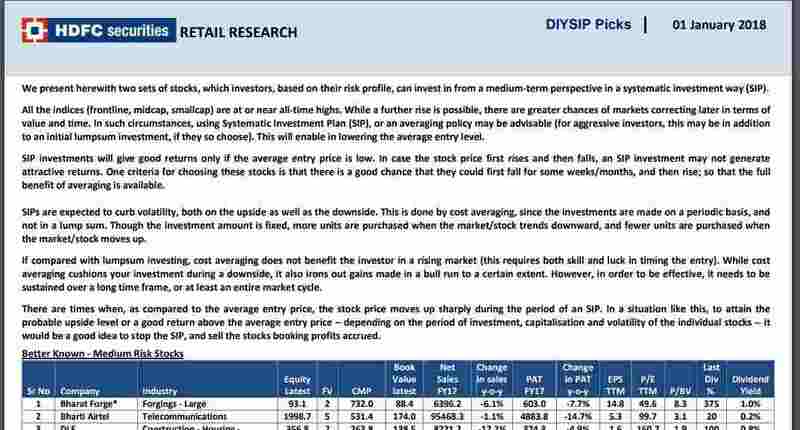 Each Trading Ideas’ report talks about a specific stock and gives a glimpse of its weekly performance along with mentioning some of the crucial data points such as CMP, Target price, Stop-loss, Time horizon and of course the action one needs to take (Buy/Sell/Hold etc). This 1-page report gives you a short drive into the stock and leaves out some room for you to do a quick check yourself before you invest your money in the share market. These reports are generally published on a monthly basis with a list of stocks that you can choose from. The idea of this report is to provide you with some options that can be invested as a SIP (Systematic Investment Plan) on a monthly basis. This is something like a monthly instalment, however, you gain returns from these returns instead. At the same time, you are required to maintain a discipline in paying these monthly payments. If you integrate the system with your banking account, then these monthly SIPs are auto-deducted from your account. 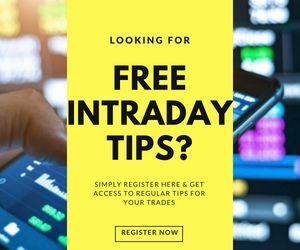 As the name suggests, this type of reporting segment talks about the live and current positioning of the market, indices, specific sectors and stocks. Generally, the stockbroker publishes multiple reports of this kind including (but not limited to) Market Wrap-up, Support-Resistance levels, Derivatives pivot tables etc. These reports, obviously, cater to different kinds of audiences and depending on your trading preference you can pick the corresponding report(s). There are retail investors, like you and I, then there are institutional level investors that are big corporate companies. These reports are for the use of such companies who are looking to make heavy investments in a particular sector, industry or a company in general. 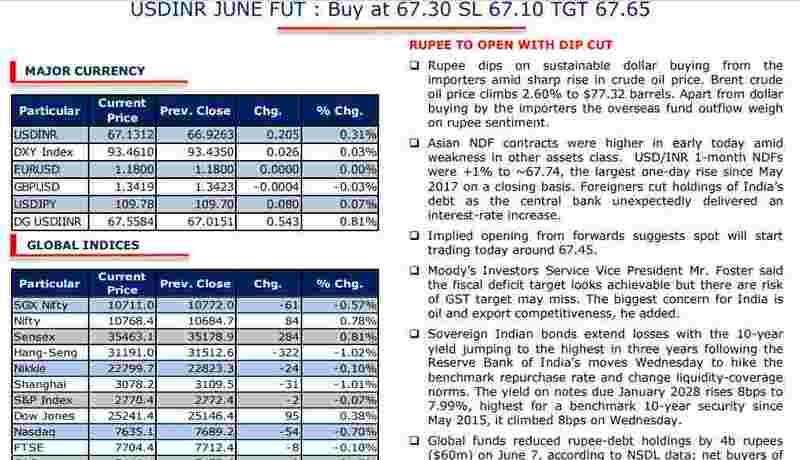 HDFC Securities research team tries to publish such reports on a daily basis, at times two as well. Being a regular report, this is a reasonable level resource for institutional level investors. These reports cover a specific company with an exhaustive analysis performed at the business level and not just the financial aspect of it. 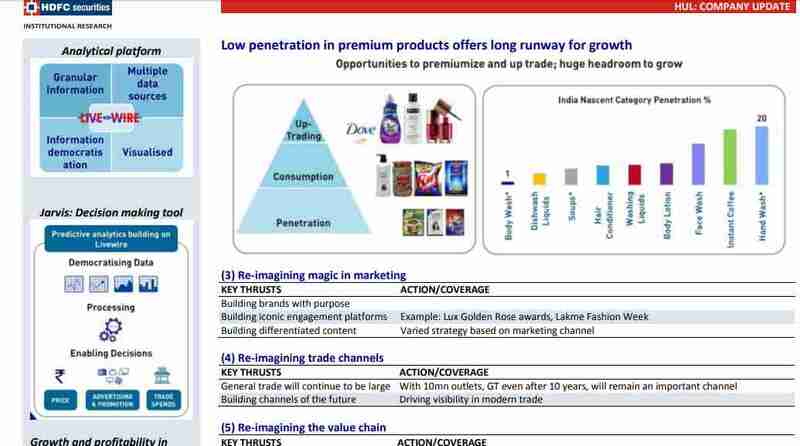 The report further talks about the business strategy, products, positioning, competition, industry performance, segment performance which are definitely some of the crucial areas one must be looking at if there is a lump sum investment involved. 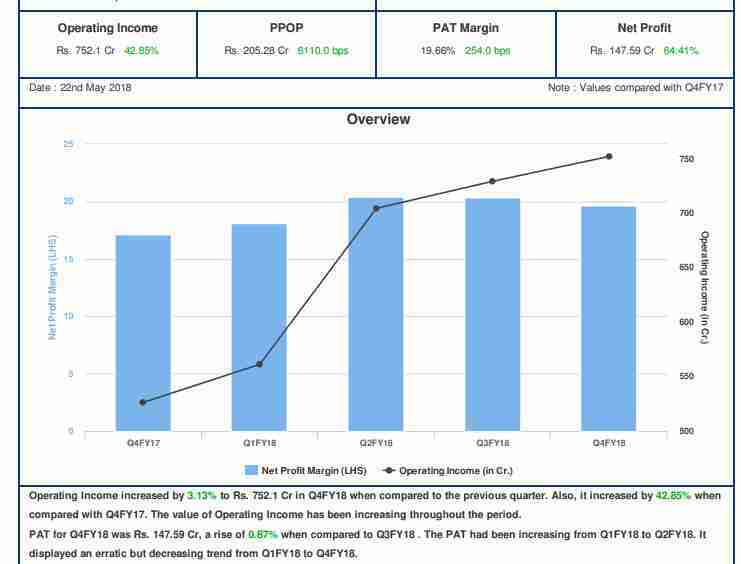 Result Updates are stock-specific analysis reports that give a quick idea of company’s operating profit, PAT margin, net profit etc at a quarterly level. These reports are some crucial resources for investors for a quick understanding of the business’ financial performance in the last 3 months or so. 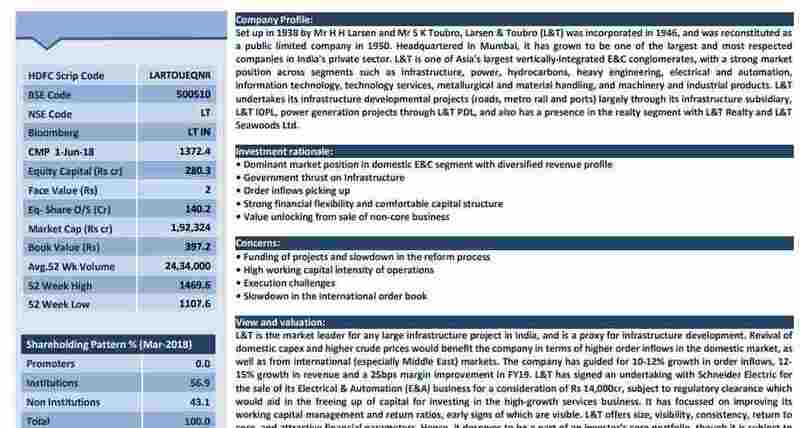 Apart from that, the report gives a comparative study of quarterly performances of the company. Thus, while you perform your analysis for medium-term investments, keeping a close eye on Results Update reports makes complete sense. 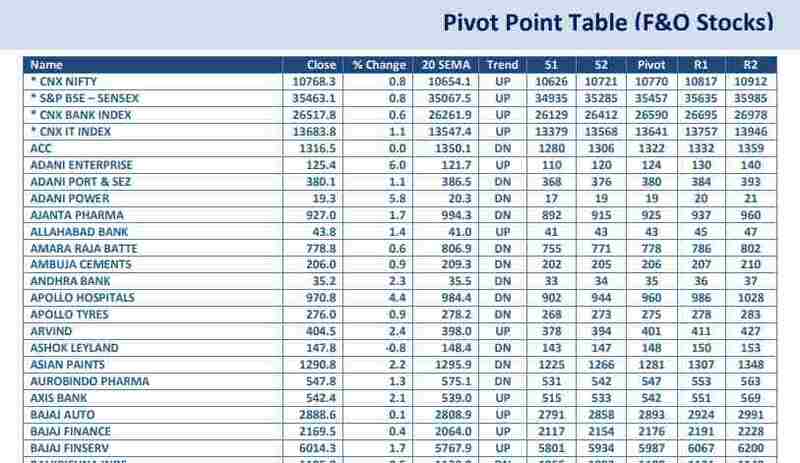 Periodic reports are also one good way to stay informed about the overall market momentum. There are various kinds of reports published under this sector across different sectors. For instance, there are reports such as Monetary Policy View, Sector report (Banking, IT, FMCG, Insurance etc. ), Index technical view and so on. All of these reports cater to a different set of audience based on their respective trading styles, segment preferences, risk appetite, investment horizon and so on. For investors looking to invest their money into mutual funds, HDFC Securities research team provides a list of reports with different aspects covered into them. These reports are segregated based on the mutual fund type. Furthermore, mutual types differentiation is based on investor’s requirements, return expectation, risk appetite etc. Within these different funds in place, there are 2 different ways in which you can invest: Lumpsum & SIP. If you are someone who wants to invest in Mutual funds with a specific amount you may have in your kitty, then that would fall into the lump sum category. The broker provides a lumpsum reckoner consisting of reports containing mutual fund investment options. 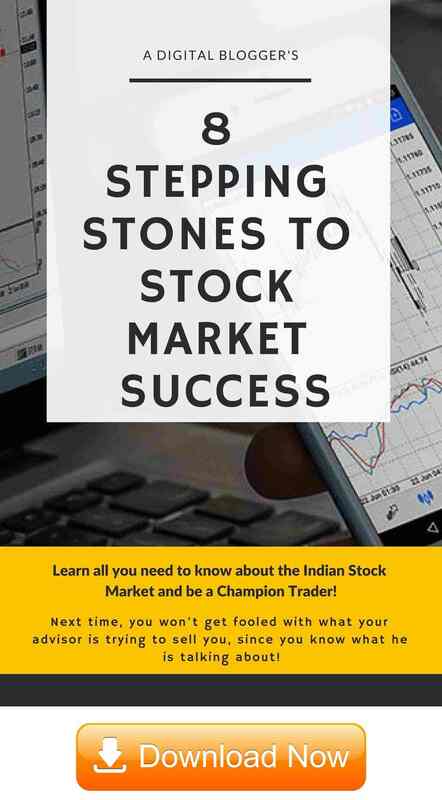 These reports contain information points such as the MF name, NAV, return expectations from 6 months to 5 years, funds size, ratings from research firms such as MorningStar, Crisil etc along with the risk level. SIP or Systematic Investment Plan is basically a way to invest a specific amount into a particular entity on a regular (generally monthly) basis. 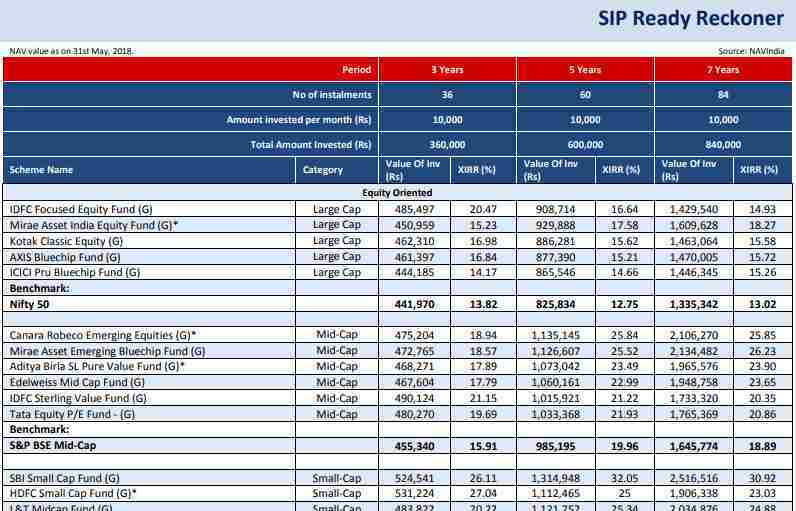 The SIP reckoner suggests you mutual funds on a regular basis that can be invested into with SIP investment style. 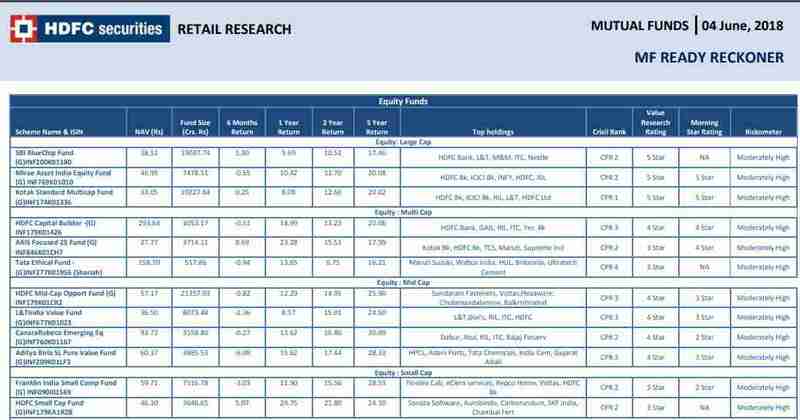 These monthly level reports contain information about the mutual funds with data points such as MF Schemes, MF category (large/mid/small cap), the period of investment, the number of instalments, amount invested per month and so on. All these data points assist in understanding the expected return on the investment made by the said duration. Then come the reports targeted for derivatives traders. In this segment, the risk level is relatively high and thus, the gains are higher too. The broker claims to bring regular tips and research to its clients in this segment. The broker has done a clear segregation in terms of the frequency of these reports. 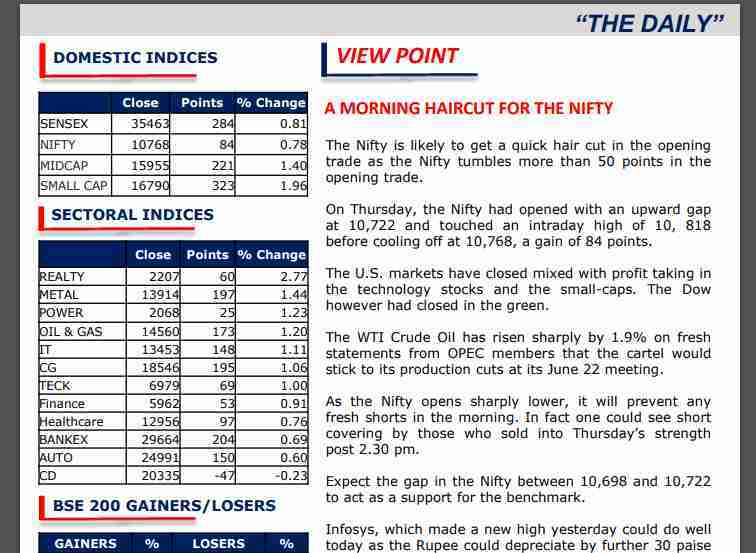 This is one of the most looked forward sections among the traders and thus, HDFC Securities research team comes up at least 3-5 reports on a daily basis making the whole reporting pretty rigorous in nature. Finally, HDFC Securities research team also comes with reports on Currency trading segment. Within currency research, the broker provides daily reports as well as currency calls for quick profits. Where currency reports are relatively exhaustive in nature and discuss expected market opening for Indian currency, the rationale behind the call, the technical outlook, glimpse of the future events that can directly/indirectly impact the currency against foreign exchange. Currency calls, on the other hand, are short and quick recommendations that the user needs to have an eye upon. Quickness in action decides the amount of profit you are going to grab with such calls! From the quantity perspective, HDFC Securities research team does a pretty good job. Yes, you will not have any access to commodity reports since the broker does not cover that particular segment. At the same time, from the quality point of view as well, HDFC Securities can be renowned as one of the top stockbroking houses in the country. The best part being the delivery speed consideration. The only aspect that goes against this broker is its pricing which looks way above the line. Nonetheless, you must see the overall value the broker provides before finalizing the one for yourself. With this, we wrap up the overall HDFC Securities research review where we have tried to cover most of the reports offered by the stockbroker to its clients. In case you are looking to get started with share market trading, just fill in some basic details in the form below and a callback will be arranged for you.